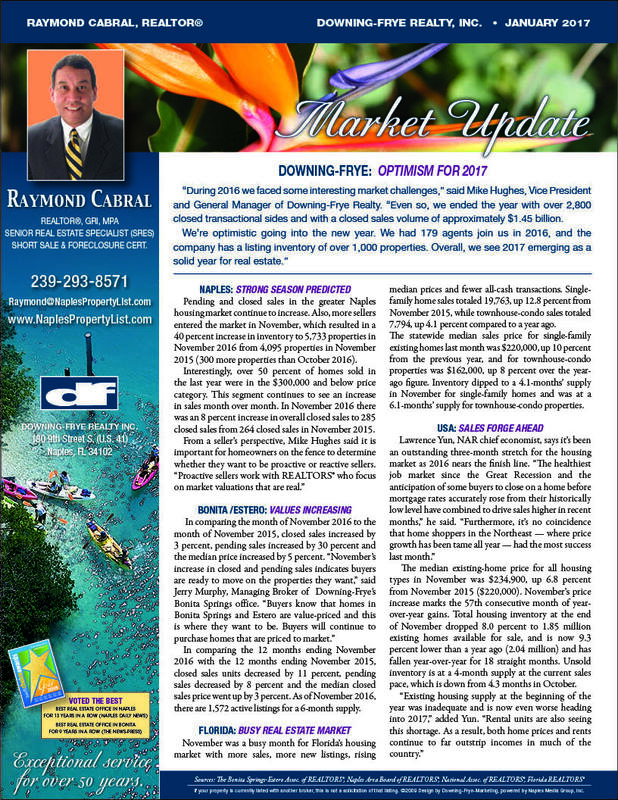 Naples Florida Real Estate Market is very strong. The optimism for 2017 is very strong in Naples. A very strong season is predicted . Inventory has increased by 40% to 5733 properties in the area. This means that buyers have a lot of option available to them. In Bonita Springs the property Value have been increasing . The median price increased by 5%.